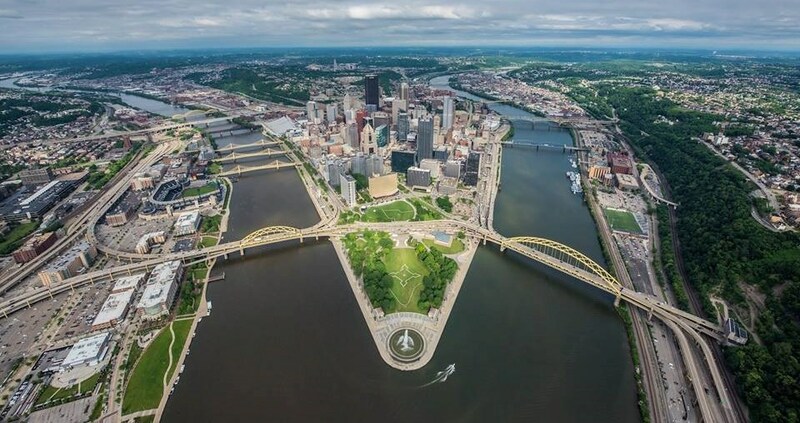 In Pittsburgh, Pennsylvania, the waterfront revitalization non-profit RiverLife seeks a full-time President and CEO. managing external affairs and communication. The ideal candidate must possess excellent relationship managements skills, be capable of managing a small organization with a large presence that can impact environmental issues, residential and commercial real estate development, and economic development, and also be capable of rolling up their sleeves to manage staff and to build, inspire and develop board and community leaders to develop a world- class mixed-use riverfront for the City of Pittsburgh. Photo of Pittsburgh courtesy of Dave DiCello / RiverLife.